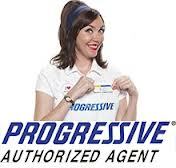 The Progressive Group of Insurance Companies has always lived up to its name by being one step ahead of the insurance industry, and finding new and affordable insurance solutions. We began in 1937 with the first drive-in claims office, became the first to introduce reduced rates for low-risk drivers, and then changed the insurance shopping experience by offering comparison rates on the Web. Progressive continues to find better ways to serve you with our new and personalized Snapshot® program and our Name Your Price® car insurance shopping option.